The Mini Cooper. The Land Rover Defender. Short of those names you’d be hard-pressed to find a British industrial design as iconic or enduring as the Brompton folding bicycle. First created by inventor Andrew Ritchie in 1975, the basic design of the bike has been virtually unchanged over the past 40 years. Yet Brompton bicycles are still manufactured by hand in one factory on the outskirts of London and today sold in more than 44 countries around the world. 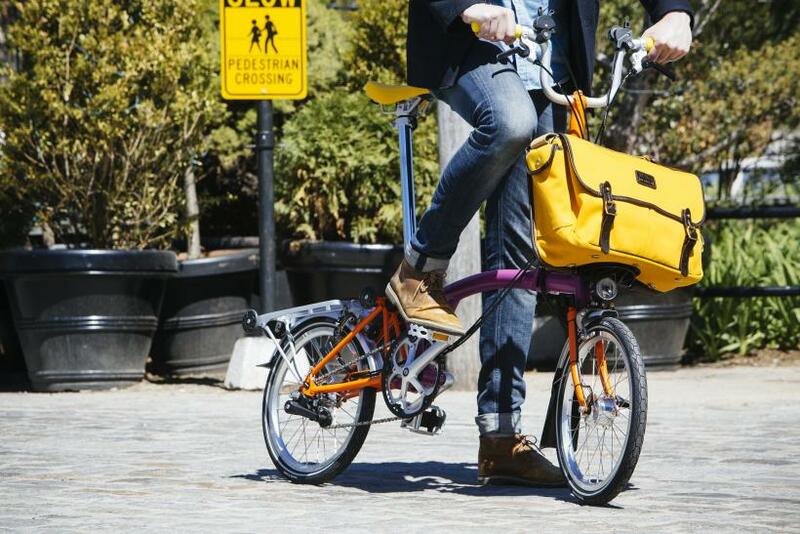 If you haven’t been to London, New York or Seoul recently, or you're just not a bike person, you’d be excused perhaps for not noticing that the Brompton, known for 16-inch wheels, U-shaped handlebars and bright color schemes, is having a moment. Bike-share programs in big cities around the globe have popularized urban biking in the U.S.; a growing middle class in Asia is breaking the stigma of cycling as for those who can’t afford cars. 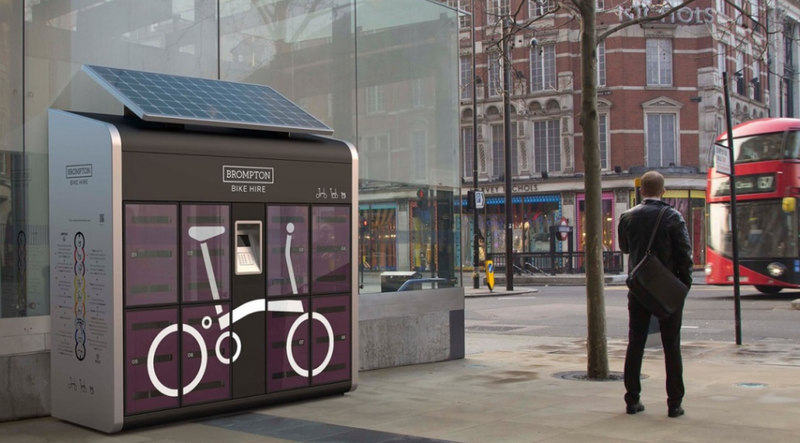 The rising tide is lifting bikes at Brompton, which shines in urban environments with their revolving doors, elevators, small living spaces and short commutes. In 2010 the company sold 20,000 bikes around the globe; in 2015 that number was just short of 45,000. Now, after eight years and several failed tries, the manufacturer is readying the biggest change to the basic form of the bike since, well, ever. An electric assist motor co-developed with F1 racing team Williams is on the way. It will include a portable front-pack battery that can also charge your laptop or phone. All that while keeping the bike’s prime advantage — portability — intact. CEO Will Butler-Adams biked over the Brooklyn Bridge from Brompton’s newly opened U.S. office in Dumbo to the International Business Times to talk to us about the future of the bike, the brand and why he’s still building bikes in London. IBT: Why electric? Don't you think you might alienate the cycling purists? Will Butler-Adams: The e-bike is not a fad; the shift to e-bikes in Europe has been monumental. The bike industry has historically been selling to cyclists. That’s 6 percent of the population. We want to speak to the other 94 percent who don’t even see themselves as cyclists but have the same problems as anyone else living in a city. Why do you think electric pedal-assist bikes are the future? We have seen growth over the last ten years right across Europe. German sales are up from £50 million to £1.2 billion. Here cycling is far more utilitarian and a pedalec [a bike you pedal with electric assistance] makes sense as it makes a mode of transport work better, no sweating, get home on a windy day and not intimidated by hills. It is and will continue to radically change bicycle design and development. How close are you to an e-bike you can easily lift? We’re closer than we’ve ever been. We know now in theory it works. We now need to make the tooling to make it in volume. You have to peddle the whole time, but 20 to 30 percent of energy is provided by the motor so in theory you don’t sweat. You push off from the light and it accelerates you up very quickly to 10 miles an hour. When you get a hill it feels you pushing harder on the pedals and it helps. And the battery is in the front pack? That means you can leave your bike downstairs and come up with your bag and your laptop and your phone and you can be charging your laptop and your bike as you go to your next meeting. So you own your power source. Does it communicate then with your smartphone? It knows a lot about what you’re doing. It knows how much torque you’re putting in how much distance you’re traveling. In time that data can be managed and communicated to you, the user, so you will know how many calories you’ve burned. Combine that with your phone, and it adds value to what you’re doing when you’re whizzing around the city. The basic design hasn't changed in years - why? All we have done for the last 40 years -- like car design -- is take one design and just optimize it and refine it. All we want to do is take this and turn it into forward movement and take out all the fluff. In the last 14 years every element of the bike has changed. First off, it was a lot heavier. The people who used it tended to be older, more sedate, maybe wearing a suit. Suddenly we have become urban. We have 28-year-olds and they are doing 10 miles each way. They are fit. The bike has gotten much stronger because our customers are getting younger and really putting it through their paces. Wouldn’t it be cheaper to do like Apple and build your bikes in China? People said you’re wasting your time making bikes in the UK. That’s what they do in China. That’s not high tech. That’s not clever. You should be outsourcing that to other people. Actually it is quite high tech. Virtual modeling is allowing us to build a lighter, better performing bike with computer tools that 15 years ago would have cost a million quid. Once, it was only the car companies that could afford [high tech tools]. It is allowing smaller companies to innovate and to bring manufacturing back to the US and to the West. What's your biggest market outside the UK? Outside the UK it's South Korea and then Japan, Germany, the US and the Netherlands. Your bikes are expensive ($1,300 to start) how do you keep cheap copies from hurting your brand? The manufacturing process is deeply unique and it is really bloody difficult. There are knock offs but they are so spectacularly bad, you just wouldn't want to get on one because it would wiggle all over the place. The biggest protector of our IP is our location. If we went to Taipei, we could teach people how to make our bike. The problem is someone who worked in our company if we were abroad could move to the competition and not even take their children out of school. They wouldn’t even need to move house because the factory would be five minutes away. And your knowledge would get sucked into the competition. Instead we’re in London and no other nutters are making bikes in London, and therefore all that knowledge stays there. Are you selling bikes in China? We took a unique approach to China. We were in Hong Kong for about 10 years and we knew bikes were getting into China. But China is a big scary thing. We thought about finding some distributors. But I spent a bit of time talking to people in Hong Kong -- they rip your brand to shreds. We took a radical decision to be the manufacturer and distributor. It's the only market in the world where we own the stores. We've opened two in Shanghai, one in Beijing and one in Chengdu. Now we’ve just started letting normal bike shops stock our bike. You've launched your own bike share service in England with self-serve kiosks. How does that work? A Citibike costs $15,000 to $20,000 per bike because of all the infrasctructure. It takes three to four docking stations per bike. We can install this for $3,000 to $4,000 so it is considerably cheaper. It's solar powered. You take that bike for a week, a month, or to Europe for two weeks. The difference is in the UK it's £2.50 for the day. Therefore you do not need to have a station at a destination. The cost of infrastructure is so much smaller you only put them where people congregate. The bike seems like the solution to urban living, yet aside from bike sharing and bike lanes, most U.S. cities are still built around the car. What’s happened is cities have become denser and the car is getting squeezed out. It just doesn’t make sense. It is contributing to ill health in cities. So the bicycle is the best opportunity there is for a change in the way people live in cities. If you talked about there being a bike scheme in Manhattan 15 years ago people would have laughed at you. It wasn’t even on the agenda.